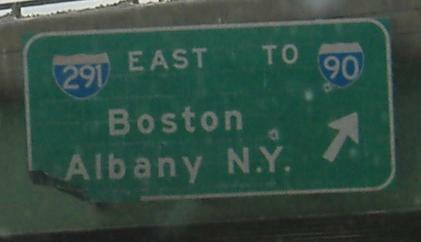 This one, as MA 20A WB ends at I-91/US 20. 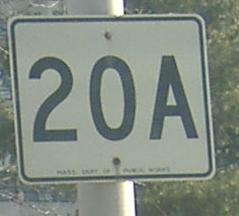 MA 20A turns at MA 116 just after it begins above I-91. 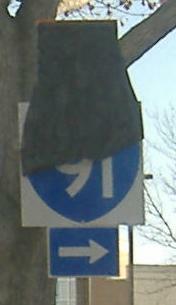 RIDOT can... hide, but it can't run... 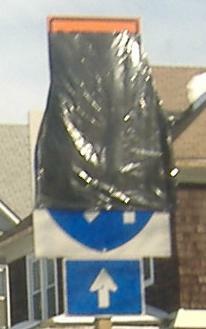 If I were that contractor, I wouldn't want anyone to see my shields either. 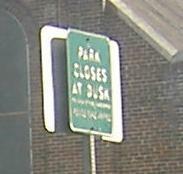 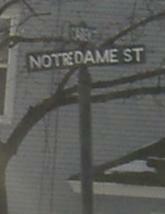 Old park sign inside the southeastern corner of Carew St. (MA 20A) and Liberty St. 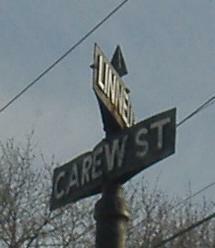 Heading straight on Carew St. after Page Boulevard (né St. James Boulevard) bears to the right with MA 20A, first an older white sign style that is otherwise nowhere to be found in Springfield, and then embossed street signs in East Springfield. 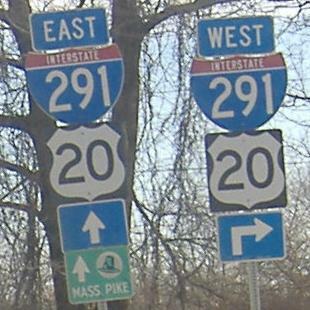 Daniel O'Keeffe has informed me that this was never the route of original US 20, either on Page Blvd. 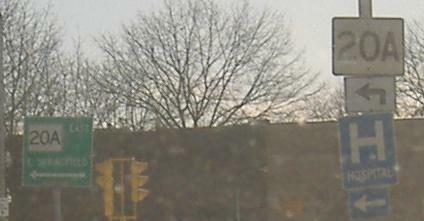 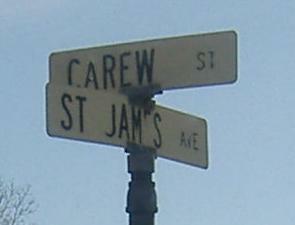 or via Carew St. to MA 141. 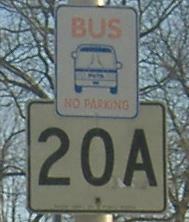 It was much simpler than all that - US 20 stayed on Main St. and State St./Boston Rd. 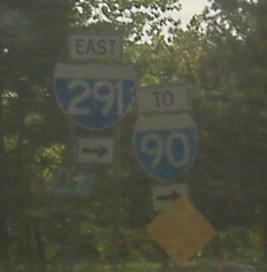 MA 20A ends at I-291 with its wooden BGS (never seen that in Massachusetts before) and tiny Mass Pike shields. 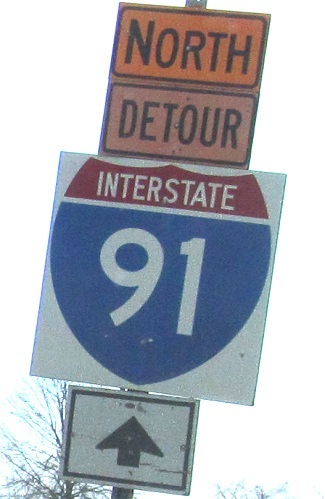 US 20 uses I-291 and I-91 to bypass Springfield city streets, which is why MA 20A gets this page.